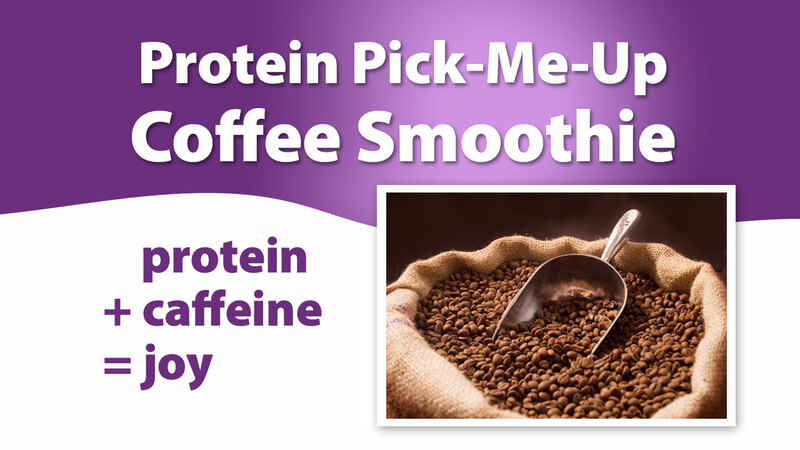 Here’s a way to get your caffeine and your protein…all in one. It’s a super yummy, quick way to grab a caffeinated breakfast. It’s also great ‘afternoon slump pick-me-up.’ Healthy, quick and delicious. Enjoy! PS. Do you have a favorite smoothie? SHARE your recipe! PPS. The super cool and super comfy “Inspire” shirt I am wearing in the vid benefits domestic violence. It’s available directly from Safe Alternatives for Everyone’s EBay store. All proceeds benefit the nonprofit.